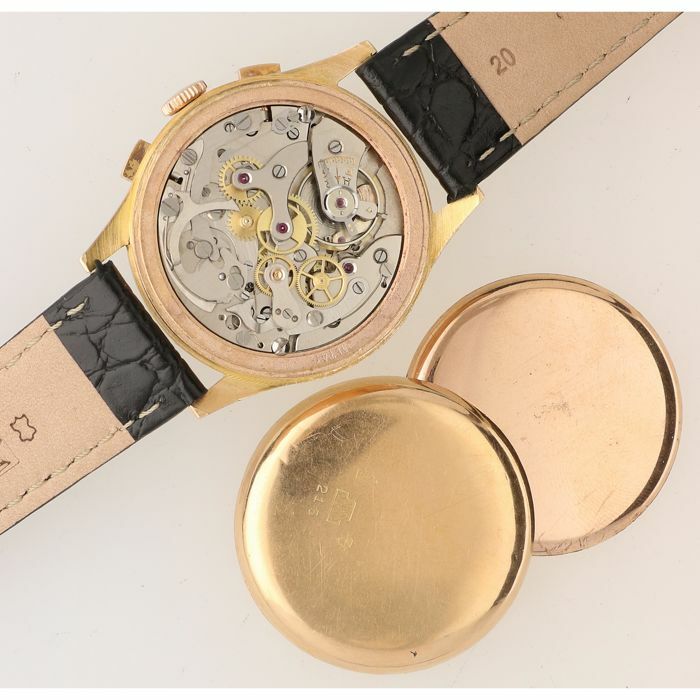 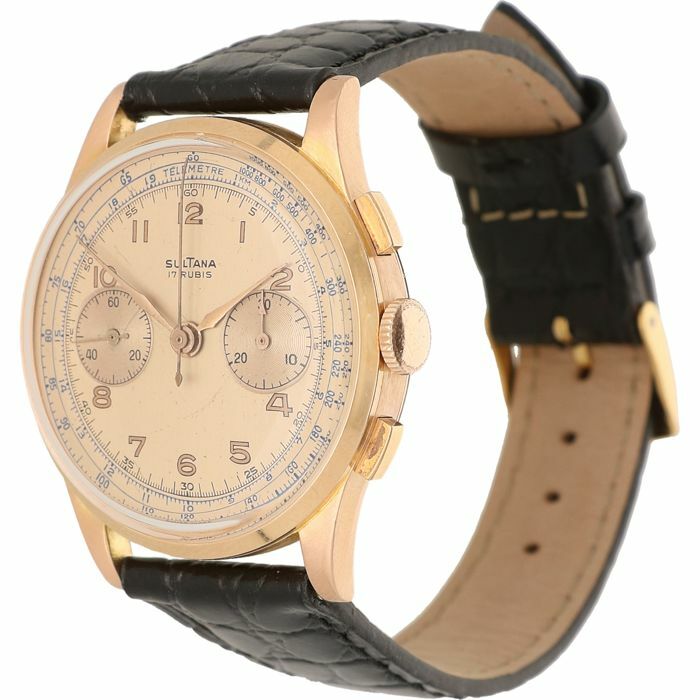 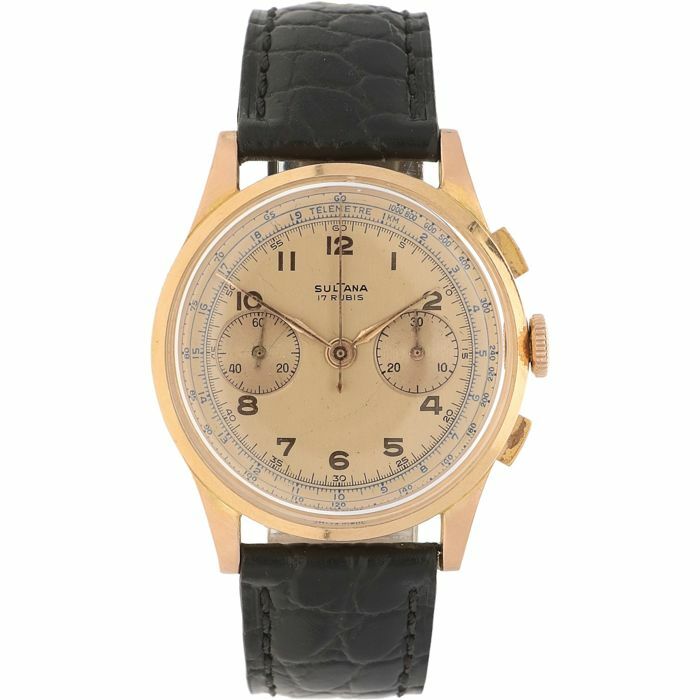 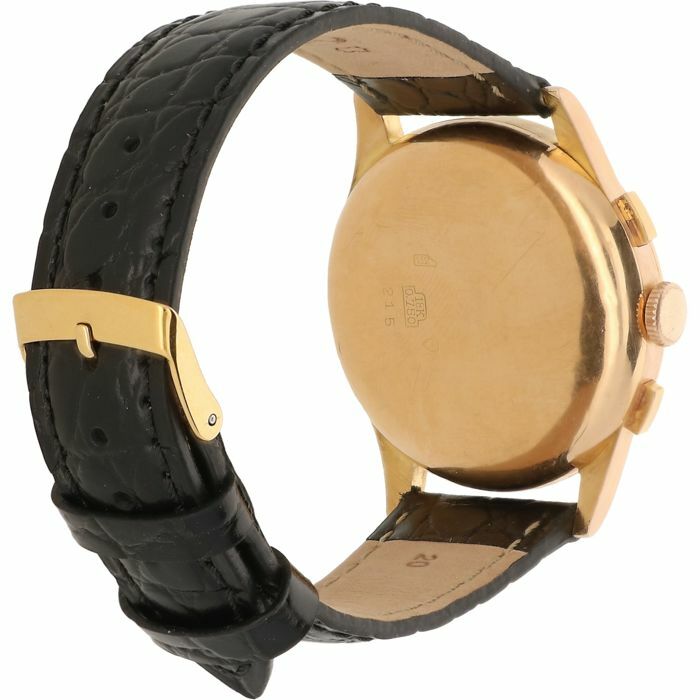 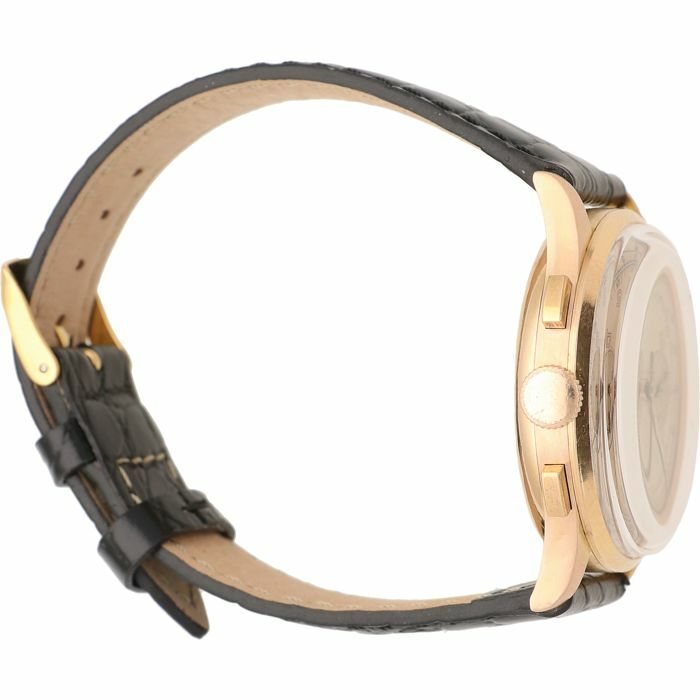 Vintage Sultana Chronograph watch with a 18 kt gold case, metal dust lid, leather strap and a gold-plated clasp. 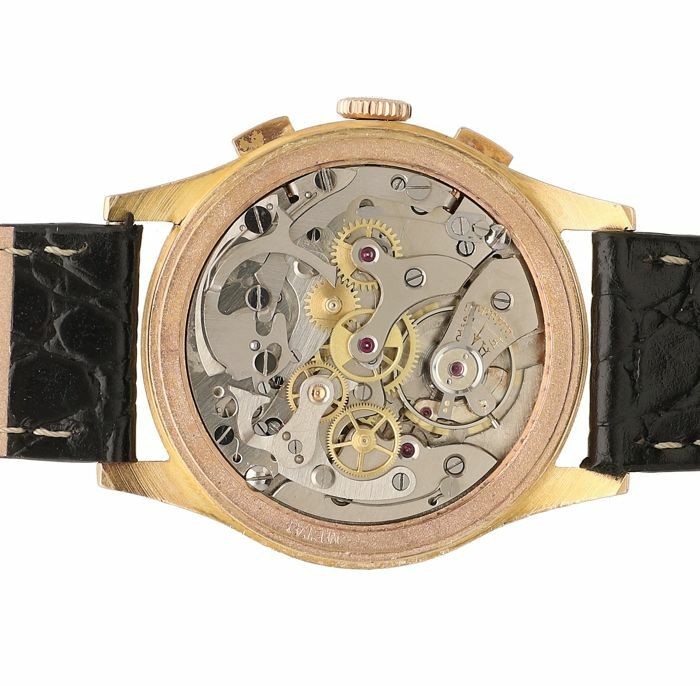 The manual movement has recently been serviced and is in good condition. 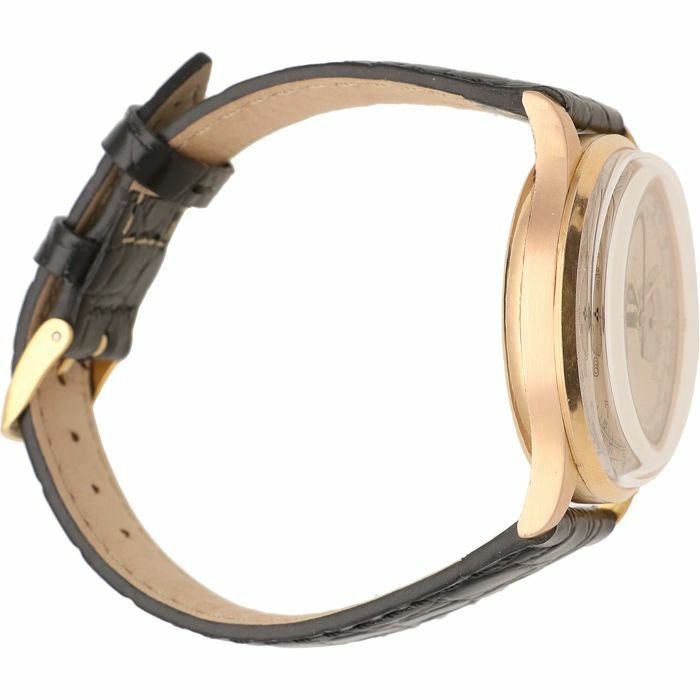 Weight in total is 46.9 g.
Condition: Both technically and optically in good condition, please view the photos to form your own impression.